Start training your bladder now, Marvel fans because Avengers 4 is going to be a long ride. According to co-director Joe Russo, who is helming the movie with his brother and filmmaking partner Anthony Russo, the current cut of the follow-up to Infinity War sits at three hours. That makes it easily the longest movie in the history of the Marvel Cinematic Universe. Joe Russo made the reveal during a recent Q&A on Instagram to promote his new bar, Duello, which is located in Los Angeles. But people were much more interested, as anyone would expect, to discuss Avengers 4 with him. At one point the filmmaker addressed the movie’s runtime, to which he made the somewhat surprising reveal that it’s even longer than Infinity War. Here’s what he had to say. Currently, Infinity War is the longest MCU movie, clocking in at two hours and 40 minutes. But it’s all about how long the movie feels and, by most accounts, Infinity War didn’t commit the sin of overstaying its welcome. So is it really that hard to imagine, given all that needs to happen in the movie, that Avengers 4 would clock in roughly 20 minutes longer? And since this is the final movie in Phase 3 of the MCU, which will also serve as a goodbye for many of these heroes, fans certainly won’t mind spending as much time with them as possible. Though, Joe Russo also pointed out that this is far from final. They still have a lot of editing to be done and they could tighten things up along the way. 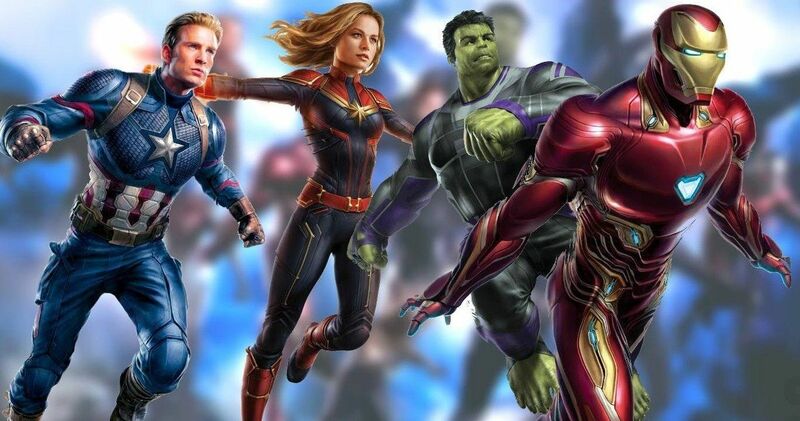 In fact, addressing another question about where they are in the process currently, Russo revealed that they are only roughly halfway done with the cut. Aside from knowing that we could be in for a long haul next year, it’s good to just get a sense of where the directors are at. Right now the main questions people have is, when are they going to reveal the title and, more importantly, when will we see a trailer? The title reveal should be coming sooner rather than later. As for the trailer? Joe Russo did cast doubt on seeing it before the end of the year, meaning we may have to wait until early 2019. Avengers 4 is set to arrive in theaters on May 3, 2019. This news originated on the Duello Bar Instagram.